A proud Minnesota native, Dr. Justin Ostrem attended Concordia College, where he received a Bachelor of Science in Biology and Chemistry. He later studied at the Royal Dental College of the University of Aarhus, Denmark, and earned a Doctor of Dental Surgery (D.D.S.) from the University of Minnesota in 2002. 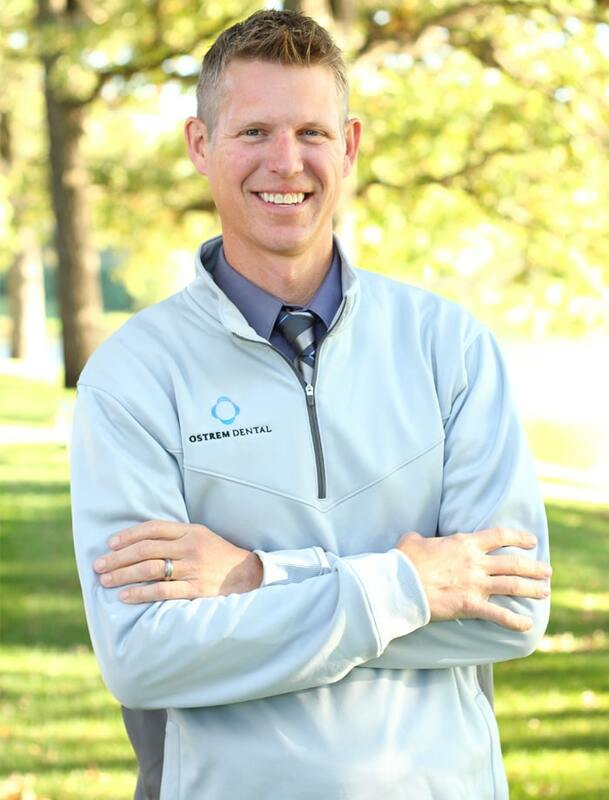 Dr. Ostrem has practiced cosmetic and general dentistry in the Twin Cities area since 2002, when he joined the practice of the highly respected Dr. Thomas Kraft. He acquired the practice from Dr. Kraft in 2006 and continues to provide Twin Cities families with superior dental care as Ostrem Dental. Inspired at a young age by his father’s love of dentistry and passion for oral health, Dr. Ostrem stays on the cutting edge of innovations in dentistry with advanced training in dental procedures and oral surgery techniques. Dr. Ostrem is also an active member of these professional organizations. Away from the office, Dr. Ostrem can often be found coaching the kids’ sports teams or enjoying time at the family cabin with his son Haakon, daughter Jaelyn and wife Amy. Gerti the dog gets to come, too.